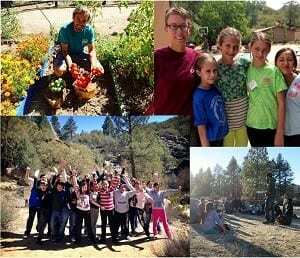 Become a Pathfinder Ranch Volunteer! We are looking for enthusiastic people to share their time, skills, and knowledge to help improve the quality of Pathfinder Ranch programs and services. Whether you can volunteer once or on a regular basis, we’d like to find an opportunity to utilize your help. Event Volunteers: these people are able and willing to commit their time to a single event. The roles and tasks assigned at these events will not require any prior training or experience (ex: Ranch improvement projects, litter sweeps, special event support, etc.). We do not currently have any opening for event volunteers. PRO Volunteers: Pathfinder Ranch Operations… these recurring volunteers will likely be interfacing with Pathfinder Ranch students, campers, and clients in order to assist with the operations side of Pathfinder Ranch. The roles and tasks assigned to PRO Volunteers will require some training (ex: guided hikes, farm/equine assistant, program instruction/facilitation for Archery, Canoeing, Climbing, etc.). We have volunteer positions for adults and youth. Select the appropriate option to access our application. We are having Winter Camp from December 28th through December 30th. If you are interested in learning more about how you can be a part of Winter Camp, please follow this link to the Winter Camp webpage.